Alexander Porsev has made sure that the Russian road race title stays within the Katusha ranks after he finished off a dominat showing by the team in the country's road race championships. Having escaped with teammates Vladimir Gusev and Sergei Chernetskii in a 4-rider group, he beat Gusev in the sprint to take his first ever win in the event. Since their first year in the peloton back in 2009, Katusha have won every edition of the Russian road race championships. There were no surprises in the 2014 edition either as the team made it 6 in a row with another dominant showing. In the first five years, five different riders had taken the win and today it was a sixth rider that made sure that the title stayed within their ranks. Sprinter Alexander Porsev took the title when he beat his teammate Vladimir Gusev and Artur Ershov (Rusvelo) in a 4-rider sprint. After a very aggressive start in the race in Tula, a 14-rider group emerged and no less than half of them were from Katusha. In addition to Gusev and Porsev, Sergei Chernetskii, Alexey Tsatevich, Anton Vorobyev, Viacheslav Kuznetsov and defending champion Vladimir Isaychev were there for the Russian team. Soon it became clear that the winner would be one of the escapees and the attacking started when Isaychev, Tsatevich and Sergey Lagutin (Rusvelo) escaped. When that move was neutralized, Gusev and Arthur Ershov escaped and were later joined by Porsev and Chernetskii. The quartet stayed away to the finish and here it was a foregone conclusion that sprinter Porsev would take the win. 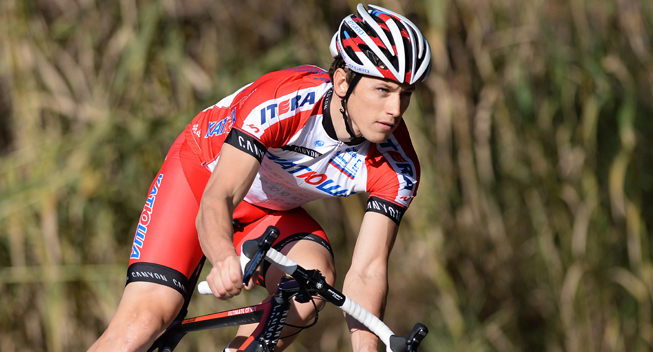 Gusev took second while Ershov denied Katusha a clean sweep of the podium. Porsev will get the first chance to wear his jersey when he makes his Tour de France debut as lead-out man for Alexander Kristoff.